There are two great parts to this spicy dish. You can use any type of Chinese cabbage and also vary how spicy you want by adding as much chillies as you like. Thai chillies are used in this recipe as their intense heat brings out the natural flavour from the chicken and vegetables used. These Thai chilies have a Scoville heat unit of 90,000! A scoville unit is used to specify the hotness of a specific food, especially for chili peppers. Mild red bell peppers rate a zero all the way up to habaneros at around 300,000 heat units. • Combine the ingredients for chicken marinade into a bowl. Rinse chicken and slice them into slender pieces, add into the marinade, evenly coat the chicken, set aside for 10 minutes. 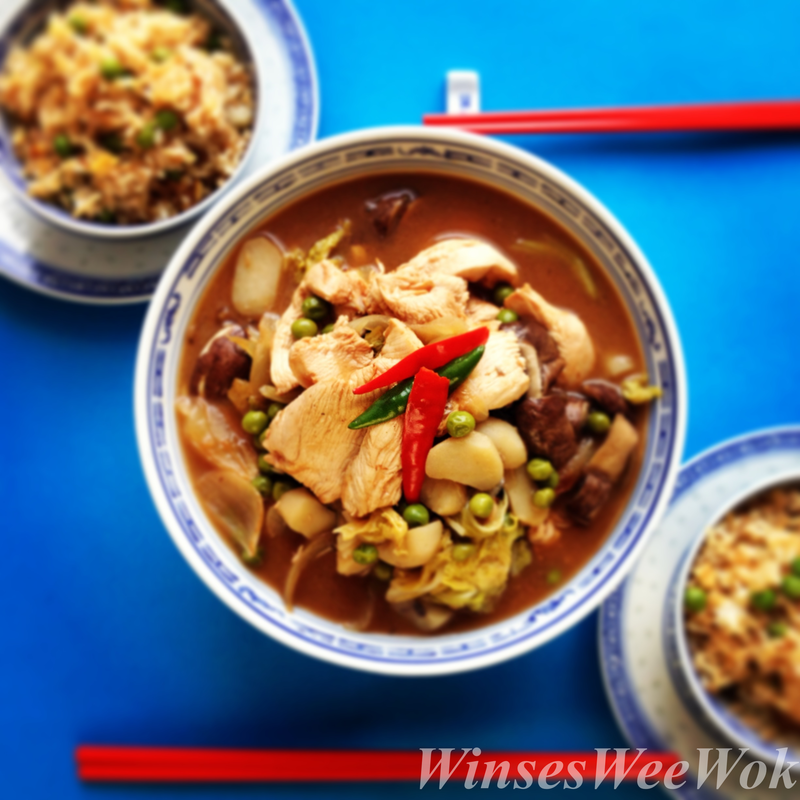 • Wash the ingredients for stir fry, slice mushrooms, cabbage and onion into bite size chunks and set aside. • Heat a wok on medium/high heat, add groundnut oil, once hot, add onions. Cook for 1 ½ minutes until soft. Stir in chicken and the marinade. Add water, lid on and cook for 2 minutes. 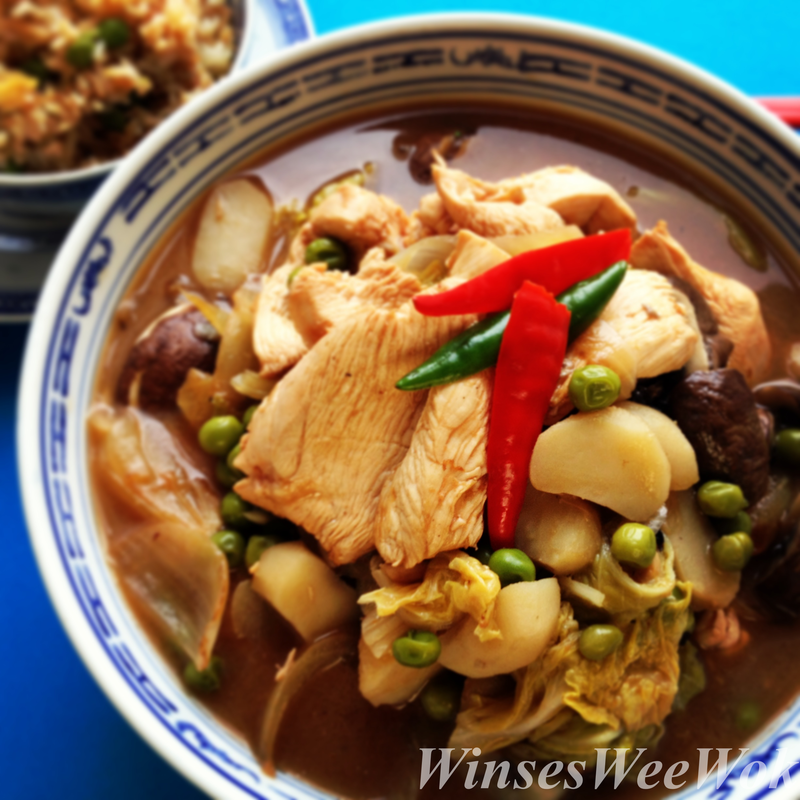 • Add mushrooms, cabbage, snow peas and chestnuts. Mix well, boil for 5 minutes with lid on. Mix thickening ingredients together and add into the wok. Cook for 1-2 minutes with the lid off. Serve.